Spirit Golden Retrievers is a small hobby kennel. We strive to promote the Golden Retriever breed by selectively importing and breeding quality and sound bloodlines. All of our puppies are born and live in the house with us. They are twice Vet checked, after birth and at six weeks. Before they go home they receive their first vaccines and are dewormed twice. 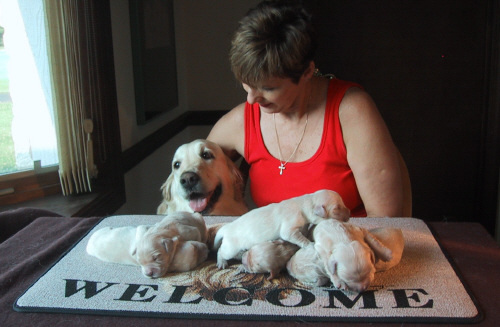 Puppies remain with mom until seven or eight weeks of age depending on maturity and socializing skills. All of our puppies and dogs are fed premium dog food, are given vitamins and joint supplements and are well socialized. If placement homes are local, families are encouraged to begin the bonding process around five weeks by visiting and spending time with their new family member. All parents are certified in eyes, heart, hips and elbows and have wonderful temperaments. 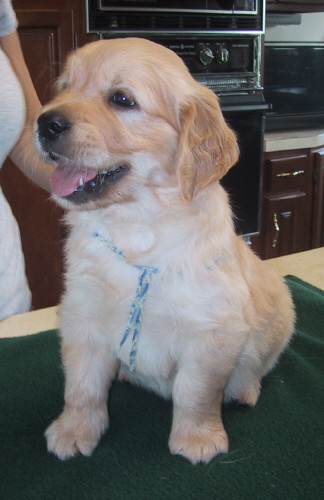 Every precaution has been taken to produce healthy puppies for the betterment of the Golden Retriever breed. 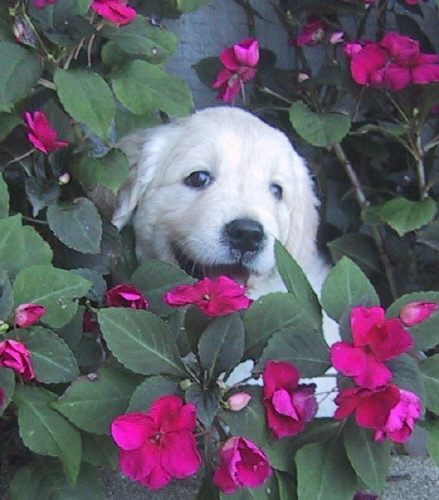 Spirit Golden Retrievers strives to produce top show quality and pedigreed puppies with the true Golden temperament as all parents bred come from sound quality show and champion backgrounds. All of our puppies come with a health guarantee and are sold with a "Limited Registration". This means that the puppy is 100% registered with the AKC, and are sold as companions only....PLEASE NO EXCEPTIONS. If interested in a future puppy, kindly fill out the below "puppy questionnaire" and forward to info@spiritgoldens.com. "Purchase Information" page for more info. 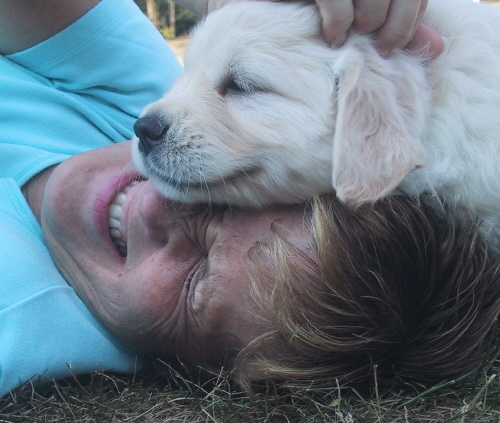 Click here to go to the Spirit Golden Retriever "Waiting List Policy".